Only one change was made to Nick Hegarty’s side this week, with Theo Markelis being brought in for Bradley Blumenthal. It was Hume City who created the best chance in the opening minutes of the game, with Paul Wilson’s header off a Stevie Hewitt free kick forced a reflex save out of Chris Oldfield, earning the home side a corner. At the 17th minute, Avondale won themselves a debatable penalty, after Liam Boland went down inside the box. Boland stepped up to the penalty spot and put the away side up 1-0 at the 19th minute. At the 24th minute, a short free kick taken by Stevie Hewitt resulted in the home side missing an opportunity to score at the back post. Hume City continued to create numerous chances throughout the first half and left-back Matthew Lazarides’ right footed effort at the 26th minute almost stunned the crowd, after the shot hit the outside of the woodwork. Liam Boland nearly put the away side up 2-0 at the 30th minute, but the shot deflected off the post. Michael Weier pulled off a miracle save at the 35th minute to keep Hume City in the game, after Avondale managed to find themselves in a 1 v 1 situation. The home side almost found themselves level at halftime, as a free kick by Stevie Hewitt at the end of the first half almost found the back of the net off a Hume City head. Avondale went into the break leading 1-0, but it was the home side who earned all the praise at half time after putting on an impressive display against a side with 7 straight wins. Nick Hegarty’s men needed to dig deep if they were to take something away from this game. The home side continued to pile on the pressure to begin the second half, with Mitch Cooper being fouled on the edge of Avondale’s box at the 47th minute. Danny Dixon stepped up to take the free kick, but his effort went over the bar. At the 53rd minute, it was Theo Markelis who managed to benefit off Avondale’s defensive blunder which resulted in him walking the ball into the back of the net to equalize for the home side. 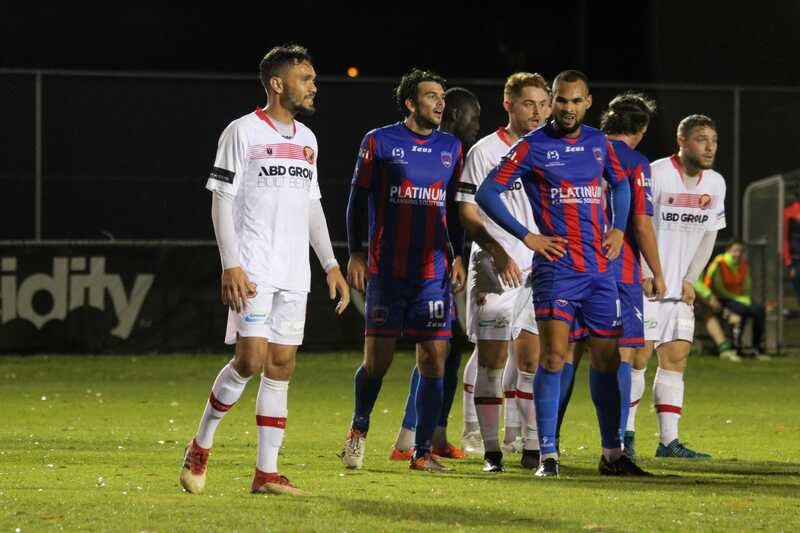 The build up to Hume’s goal resulted from Mitch Cooper being fouled at halfway, then the early free kick finding Stevie Hewitt who put Theo Markelis through on goal. Stevie Hewitt continued to look dangerous for the home side, especially with his brilliant free kicks. At the 56th minute, Hewitt’s free kick found Harry Monaghan who’s headed effort went wide. The home side continued to dominate and create plenty of chances throughout the second half. At the 64th minute, Mitch Cooper’s backheel towards goal almost put the home side up 2-0, but Chris Oldfield managed to deny the brilliant effort with a great save. At the 69th minute, Lazarides’ run down the left flank found James Brown who was fouled on the edge of the box. The free kick by Stevie Hewitt was taken short to find James Brown, who’s low drive failed to test Chris Oldfield. At the 80th minute, Harry Monaghan received a second yellow card which ended his night early and reduced the home side to 10 men. Liam Boland almost found the back of the net to put Avondale up 2-1, but Michael Weier was able to save the day yet again at the 81st minute. Hume City’s defence were resilient for the entire night, but at the 90th minute, Avondale had a chance to steal all 3 points, but the effort went wide. The referee blew the final whistle at the 96th minute, which not only earned the home side a valuable point, but a round of applause after their resilient defence held out Avondale who had an extra man for the last 15 minutes of the game. 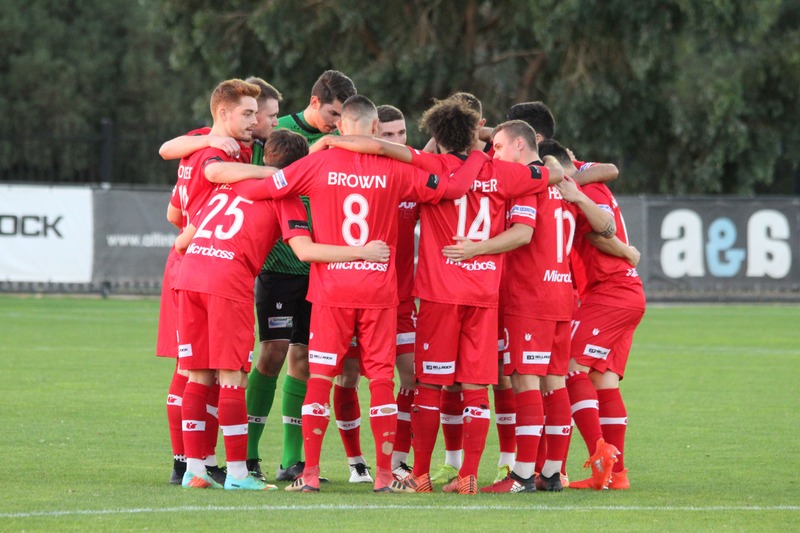 Hume City now have their sights set on South Melbourne, as they travel to Lakeside Stadium next Sunday (14th April) for a 4pm kick off.